Thu, Jan 17, 2019, 10:53 pm SL Time, ColomboPage News Desk, Sri Lanka. 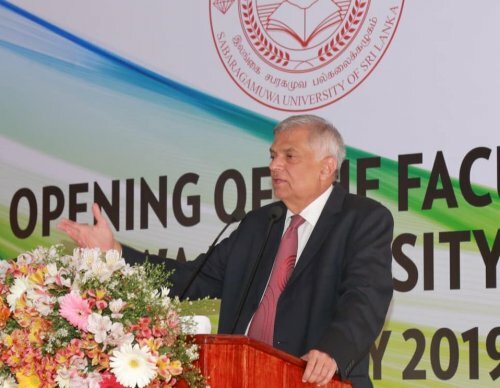 Jan 17, Colombo: Sri Lanka's Prime Minister Ranil Wickremesinghe today said the unity government from 2015 to 2018 has spent over Rs. 1 trillion for the betterment of the education and health sectors in the country. "We told people that we will increase the money allocated for education and health. Accordingly, Rs. 635 billion has been spent on education alone from 2015 to 2018 only for the Ministries of Education, Higher Education and Vocational Training. At the same time, Rs 690 billion has been spent to develop health sector," the Prime Minister said. The Premier made these remarks while speaking at the opening of the new medical Faculty for the Sabaragamuwa University on Thursday. 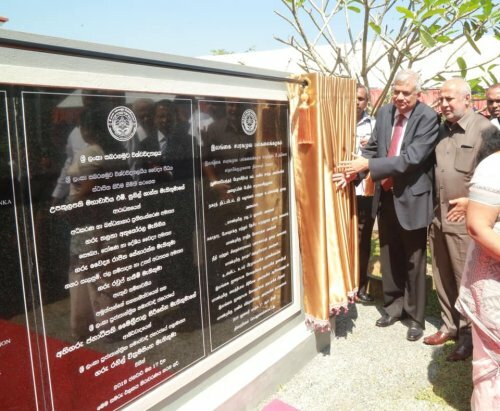 Prime Minister Ranil Wickremesinghe today declared open the new Medical Faculty of Sabaragamuwa University constructed at a cost of Rs. 2 billion in Batuhena, Ratnapura. This is the 10th Medical Faculty in Sri Lanka and the 8th faculty of Sabaragamuwa University. The new Faculty of Medicine has been established in a 20 acre land in Batuhena, Kuruwita, and Ratnapura. The 2018 budget allocated Rs. 2 billion for the construction of the fully-pledged medical faculty for the University. The new Medical Faculty is equipped with state-of-the-art facilities and technology including laboratories, lecture halls, and a complete dormitory. The Prime Minister after unveiling the memorial plaque at the Medical Faculty made an observation tour of the facility. The building and the lands were handed over to the Sabaragamuwa University as well at the occasion. Nearly a hundred students have already been admitted to the Faculty of Medicine of the Sabaragamuwa University and they receive the required training at the Ratnapura General Hospital. Expressing his views at the occasion, the Premier said the socialism means having the opportunity to stand on own two feet and if the people have health and education then 60 to 70 percent of the struggle is eliminated. "No other government has spent the amount the unity government had spent on health and education despite the debt burden. We have to spend more to repay our debts. However we have been able to develop health and education despite paying a large amount to cover our debt," the Premier said. "We need to allocate more funds for engineering and technology sectors in the country and also to develop these areas. Further, the Vocational Training Authority should also be developed. I have discussed with the Minister of Education regarding the recruitment of science teachers to schools," he said. 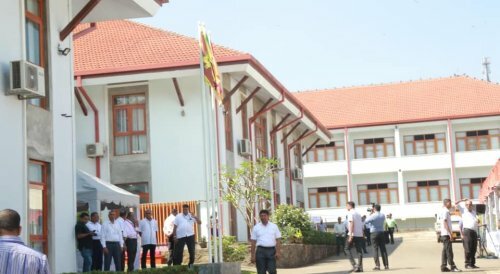 In addition to the medical faculty at Sabaragamuwa University, two new Medical faculties are set to be opened in affiliation with the Wayamba, and Moratuwa universities. The government will also develop the hospitals which will be affiliated with the three medical faculties. Accordingly, the Kuliyapitiya Base hospital, Kalutara General Hospital, and the Moratuwa district hospital are set to be refurbished in order to facilitate students of these faculties to engage in practical learning. Chancellor of the Sabaragamuwa University Professor Ven. Kumburugamuwe Vajira Thera, deans of the faculties, Ministers Thalatha Atukorala, Rauf Hakeem and Dr. Rajith Senaratne and many other people's representatives participated in the function. The Prime Minister also engaged in a friendly conversation with the new medical students.